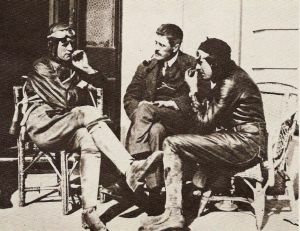 The Scott trial originated in 1914 when Alfred Scott, inventor and founder of the Scott Motorcycle Company, issued a challenge to his workers at the Scott motorcycle factory and those of his local agent. The challenge was to ride and navigate their way from the factory in Shipley through the Yorkshire Dales on a prescribed route to Burnsall. Of the 14 starters only 9 finished. The event was reintroduced after the war in 1919 and although Alfred Scott died in 1923, the event was run by the Scott workers until 1926. Bradford & District Motor Club then took over, moving the start and finish to Blubberhouses. The Scott Trial became a prestigious event, and by the early 1920s it had contributed to the notion that Yorkshiremen were the best and toughest riders in all of Britain. In 1938 the trial was moved to Swainby in Cleveland due to the loss of land in the Dales. 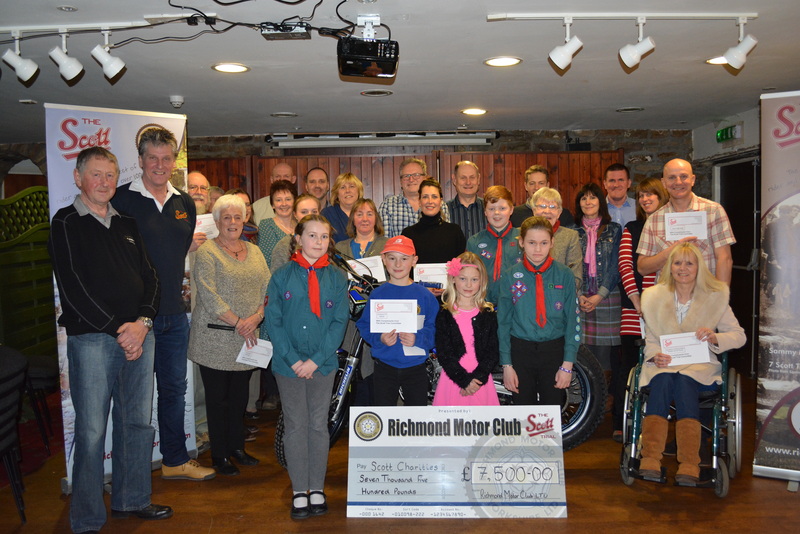 The running of the event was now in the hands of the Middlesborough & Stockton Motor Clubs. In 1951 the Yorkshire Centre was split into two Centres; The Yorkshire Centre and the East Yorks Centre. At this point the organisation of the Scott was transferred to the Darlington Motor Club (affiliated to the Yorkshire Centre) as the Stockton and Middlesbrough Clubs were now in the East Yorks Centre. The trial moved to Swaledale where it has remained ever since. Richmond Motor Club (Yorkshire) Ltd took over running the Scott in 1991 and still run the trial today. In his career of over 1000 wins, Sammy Miller considered the 1962 Scott Trial as the greatest ever. The week of rain meant the course was muddy and dangerous. Conditions were so bad that only 40 finished from a field of 185 at the start. Sammy Miller (on his Ariel 500cc) won on what was to be his second win of seven Scott Trial wins overall. Trials maestro Sammy Miller seen here in the early 1970’s in North Yorkshire. Maybe Orgate Falls. 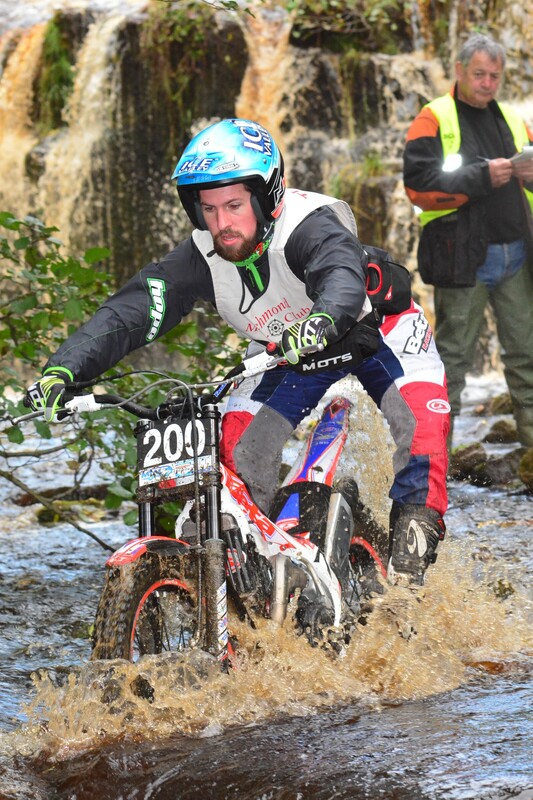 The Current Scott trial is a time and observation event run over an off road course of approximately 84 miles, divided into approx 75 sections. 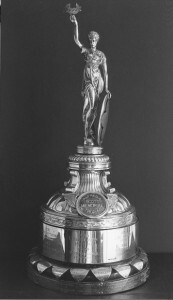 The riders lose marks for “footing” in the observed sections and for finishing behind the fastest rider who sets standard time. Marks lost are at the rate of 1 mark per minute after standard time. 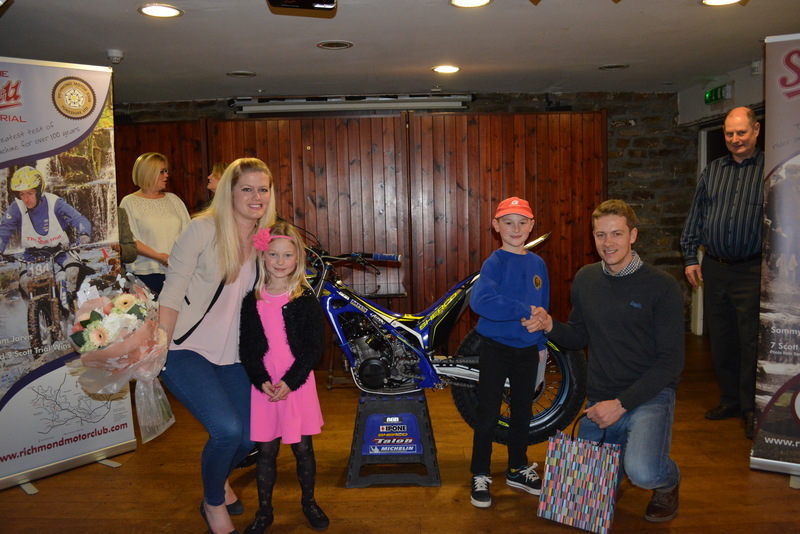 There are now 40 different awards given out at the presentation evening on the night of the Trial. A huge team gather in the observer boards throughout the day, and have the results worked out by about 10pm, following a charity auction. As in 1962 the weather can be as harsh as the course. 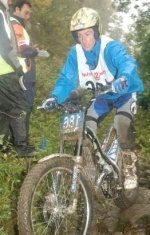 In 1998 only 27 of the 147 entries completed the course. On this occasion Graham Jarvis won for the third time with the fastest time of 5 hours 50 minutes. In 2008 rain reduced the finishers to 60 out of 200 with Jarvis winning for a record 8 times. It has been described as the greatest test of man and machine and is an event in which the clubman riders can still compete on the same course as top international stars. 2014 saw the Centenary of the Scott Trial with a full entry and lots of past winners attending the trial and special Centenary Dinner. James Dabill riding with number 200 was the overall winner. Each year the Scott raises money for the “Scott Charities”, local non-profit making organisations and charities who are often too small to attract grants from the usual sources. 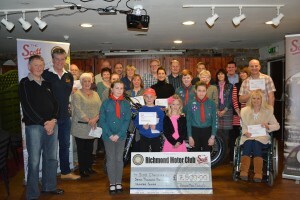 Following the 2015 Trial Charity Donation Evening a total of £155,319 has been donated in the time since Richmond Motor Club took over the running of the trial in 1991. The 2016 Trial proceeds will be added to this total and given away in late February 2017.